I hope you had a chance to visit some of the ladies in the Blog Hop last week. grab a cuppa and enjoy these links. Have you discovered anyone new lately? I can't wait to find a moment to check these out. I've been looking for some new blogs. So many of my old friends seem to be disappearing! Thanks for the reminder. I haven't had time to check it out so I'm heading to each of the blogs now. This is like getting a new magazine or catalog in the mail! I need a PSLatte to really get in the fall spirit! I will check them out over the weekend when I have a bit more time. Thanks for putting it together so beautifully. Hi Stacey, thanks for the links. I will enjoy this over the weekend. Hi Stacey! Thank you for letting us know. I'm not familiar with some of these blogs and will love popping in to see their decor. Hope all is well. Thanks! I will take a peek! Oooo these posts look like fun, Stacey. Thanks bunches! A side note... I think I recognize the book you have lying on the porch. My book club read it, and we all found it intriguing. Hi Stacey, Hadn't heard about this blog hop. Were you included in it? Was it a tour of these blogs? I'll have to check a few out that I have not heard of when I have time. Impossible to pick a favorite! So many pretty, pretty homes and touches. You've given me a lot of eye candy to check out while I sip my morning coffee. Thanks for all the links! Thanks for putting this together and sharing my link. 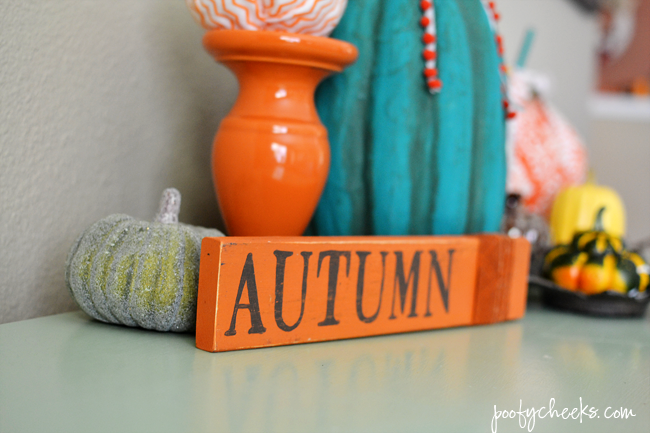 I am so glad I got to know you and see your talent through the Fall blog hop. Thank you so much! I love seeing my blog featured on such a lovely blog!